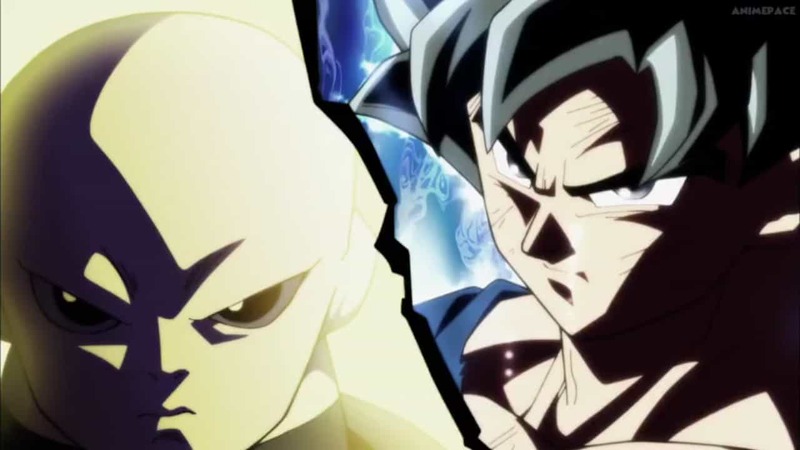 Dragon Ball Super Episode 128 Review: Noble Pride To The End! 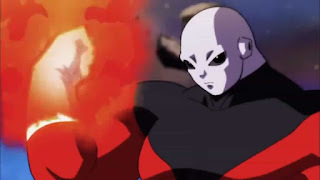 Vegeta Falls – Near the end of the tournament of power Vegeta is struggling to hold up against Jiren. However, Vegeta gives the last remains of his powers before being eliminated to Goku, so that he could fight Jiren. 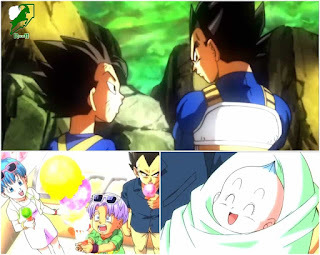 Dragon Ball Super Episode 128 Spoilers Below!!! 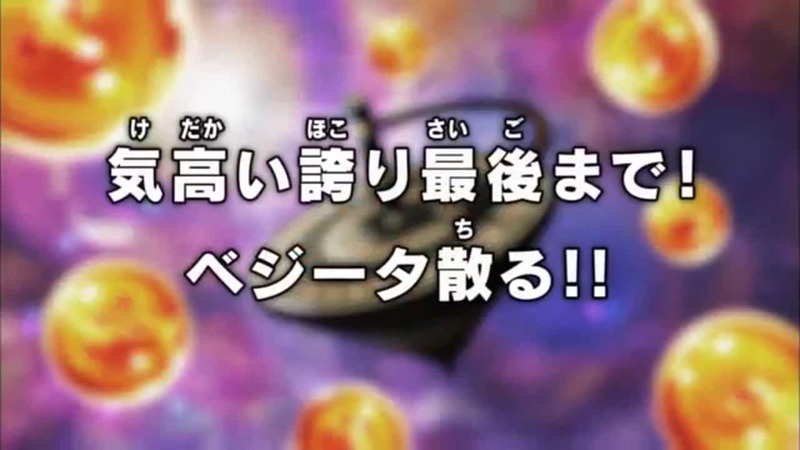 The animation of Dragon Ball Super Episode 128 was top notch as usual with last few episodes. The series continues to deliver stunning art as the series is coming to a close. This installment marked the Elimination of Vegeta from the Tournament of Power. 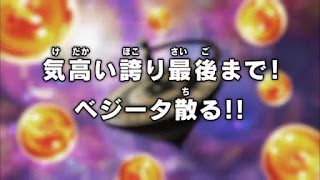 As of now, there are only 3 fighters on the Stage, Goku, Jiren and Frieza(Still disappeared but not eliminated). This one also marked the 3rd and probably the final time Ultra Instinct Transformation will be achieved by Goku before the series hiatus. After Android 17's sacrifice, Goku is mourning his loss. While Jiren says that no matter how many weaklings "He" gathers around himself, He can't win. Goku doesn't have enough power to even stand. But Vegeta stands up and decides to continue fighting Jiren. But Vegeta doesn't even have enough power to go SSJ, so he decides to fight in his base form. Much to Jiren ridiculing him for it. Vegeta tries punching Jiren but to no avail. Jiren attacks and sends Vegeta to the edge. He remembers his promise to Cabba, remembers Bulma, Trunks, and Bulla. Vegeta struggles and gets back up to his feet while mocking Jiren that his attacks tickled. They continue fighting but Vegeta's pride doesn't let him back down even when Jiren's punches start to feel heavy. During this Jiren claims Vegeta can't win so Vegeta responds that he'll take Jiren's Arm with him. Jiren shrugs him off. Vegeta is at the edge yet again, But manages to survives as half of his body is still on the debris. So Grand priest says that He is not eliminated. Unconscious Vegeta hears Bulma's voice telling him to get up and asking what is he doing? Vegeta says to let him sleep a little before he starts getting back up. Jiren asks, what is driving Vegeta? Vegeta trash talks to Jiren telling him, he wouldn't understand what it means to protect. 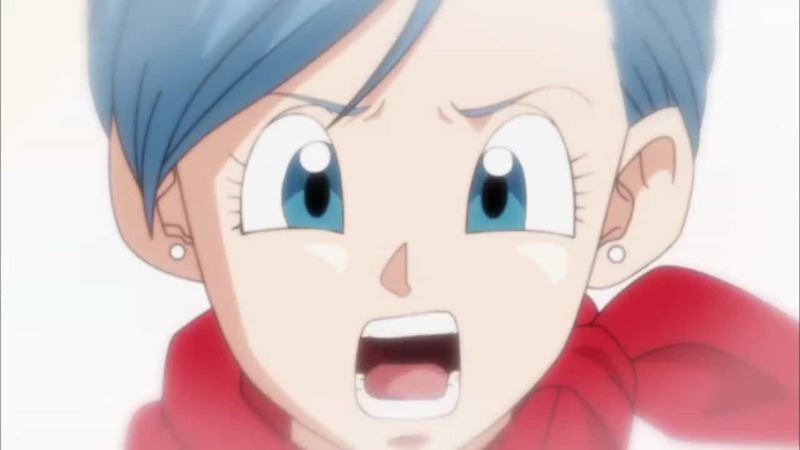 Vegeta musters a Final Flash while remembering Bulma's last words to him("We're counting on you everyone!"). But Jiren does not flinch. Jiren acknowledges Vegeta's pride before eliminating him for good. Vegeta apologizes to Bulma, Trunks, Bulla, and Cabba as he is falling before giving the last remains of his powers to Goku. Goku stands up and acknowledges Vegeta's plea and Goes Super Saiyan Blue. Vegeta is Eliminated. Krillin gives Vegeta a senzu bean to heal up. Whis and Beerus compliment Vegeta on his efforts. Jiren asks Goku why everyone put all of their faith in him as "Trust begets nothing". Goku and Jiren then begin their fight. Goku tries attacking with everything he's got but to no avail. Jiren's punch knocks Goku out of Super Saiyan Blue. 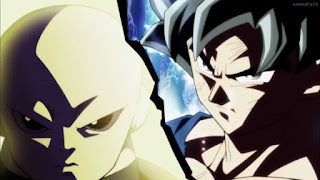 The Other Gods claim that the fight is decided as Jiren is gonna win. The Pride Trooper brutally punches Goku in the face as Goku is near the edge. Jiren goes for the final Blow but Vegeta calls Goku out. 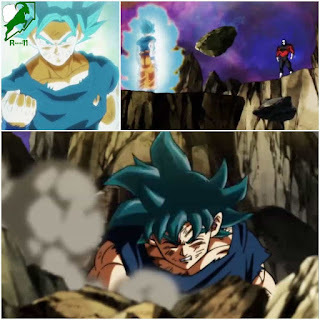 Goku then remembers all of his fellow teammates and remembers that they are counting on him. Jiren lands his punch only to see that Goku swiftly dodged it. A shocked Jiren and tries attacking Goku multiple times only for Goku to dodge him. 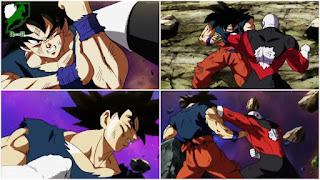 Goku then delivers a devastating blow similar to how Jiren did to him in their first fight. Goku has entered Ultra Instinct for the 3rd time. Everyone is baffled by this. Whis says he never thought he will see it again near the end. Some Gods even thinking that Goku may have gotten it for good this time. Only 2 minutes remaining before the end of the Tournament of Power. 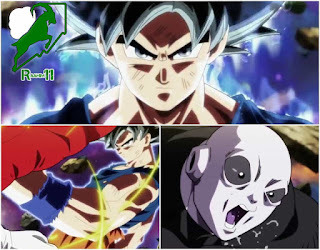 Can Goku actually master Ultra Instinct and defeat Jiren? Where is Frieza? Who will win? Dragon Ball Super Episode 128 was a Great episode. Vegeta looked amazing despite going down and Ultra Instinct is back again. That is always a great spectacle. I would have still liked to see Vegeta stay in for a few more episodes but guess that ain't happening. The Punch Goku gave to Jiren was phenomenal. And in the Next episode, which will air on March 4, 2018, We will finally see Ultra Instinct Mastered. If you enjoyed this review, then be sure to check out my other reviews or 4 reasons why Dragon Ball Super going on a Hiatus is good news. You can also subscribe to My Youtube Channel for Awesome Dragon Ball Videos.